The poll numbers continue to suffer for Nevada primaries and general elections. Is this a result of turnout or burnout? Traditionally Nevada voters are known to be lackluster concerning their civic duty to vote, however, some are wondering if it is just due to turnout or burnout. 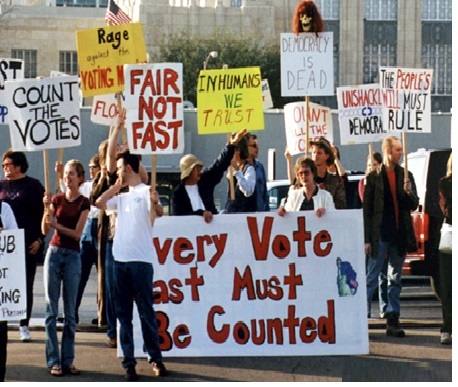 Low voter turnout in the United States as a whole has confounded activists and politicians who seek to reverse the political status quo. Nevada is home to a host of transients and it is believed that people do not stay there long enough to learn about the candidates to have a solid opinion one way or another. Reportedly the silver state has the nation’s lowest percentage of voters born locally. However, the low voter turnout is not just confined to Nevada. It has become an American issue. Many citizens have lost confidence in the electoral integrity. The most recent election stirred these doubts with broken machines, long lines and more importantly reports of Russian cyber attacks. Americans all know that it’s not their vote that elects the president, but instead by an electoral college whose members do not have to vote the way the majority of the American people voted as they proved in this 2016 presidential election. Currently, I do vote but having my vote count for nothing given the effect of the Electoral College I am questioning why I bother. The system is so weighted toward small very superstitious rural areas that I realize that nothing I vote on matters. I (and I suspect others) are literally disenfranchised although we are in the majority. I have to wonder how long such a system which is literally taxation without representation is going to last. The corruption I see really taxes my willingness to support a government that disregards my vote as a matter of policy. One major reason for not voting is the fact it is held on a weekday and that most people who want to vote would have to take a day off work or for many, risk their jobs if they did try and take a day off. This reason alone would cause millions not to want to vote or unable to afford to vote given the consequences to a person’s job and /or pay packet. Standing in line for more than 25 minutes or needing to drive vast distances to vote are also good solid reasons why people would not bother. America seems more than many countries determined to make voting a difficult, costly and time-consuming exercise and suggests it is not as serious as it should be in terms of promoting and propagating Democratic values and systems. Voter turnout for Nevada primaries and general elections is at an all-time low. The state’s transient population and the high percentage of undocumented immigrants help keep the voter polls down. However, given the country’s current climate, low voter turnout across the country could easily be a symptom of political burnout.